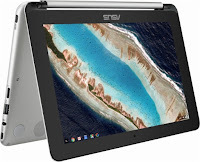 The Asus Flip C101PA-RRKT10 is a laptop PC equipped with the processing power of Rockchip RK3399 with two large ARM Cortex-A72 cores and 4 small ARM Cortex-A53 cores. It has an integrated graphics controller called ARM Mali-T864 GPU. The Asus Flip C101PA-RRKT10 Chromebook PC comes with 4GB system memory for basic multitasking; 16GB eMMC flash memory; 360 degree hinge that lets you use the laptop in an endless variety of ways, including laptop, tablet, stand and tent modes; built-in cloud support; speakers; media reader for simple photo transfer that supports microSD, microSDHC and microSDXC memory card formats; HD webcam with microphone; built-in virus protection and Google products; and 2-cell Lithium-ion battery which will give you up to 9 hours of working away from the main source of electricity. It comes in silver color for stylish look. 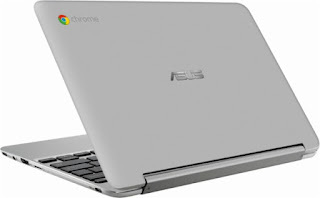 The Asus Flip C101PA-RRKT10 Chromebook PC is also equipped with 10.1" touch screen for hands-on control with 1280 x 800. 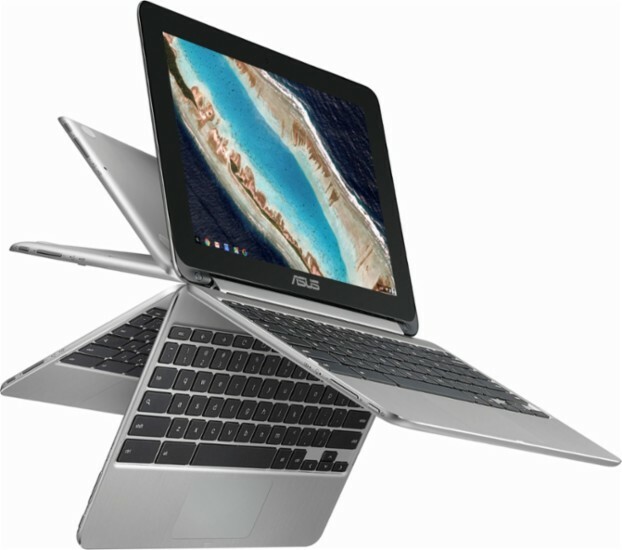 The resolution of this device is not that high so it is expected that the laptop display is not that sharp and crisp compared to other laptops with higher resolution. It also features energy-efficient LED backlight. With regards to connectivity, this Asus Flip C101PA-RRKT10 laptop offers Bluetooth interface syncs with compatible devices; 1 USB Type-C port; 1 USB 2.0 port; and Next-generation wireless connectivity. This Chromebook is powered by Google Chrome operating system that automatically downloads and installs security and software updates, so you don't have to waste your time managing patches and waiting for restarts. It can be had at the price of $299.99. Other devices I this price range include ASUS VIVOBOOK MAX X541SA PD0703X; ACER TRAVELMATE TMB117MC0DK; and LENOVO FLEX 4 80SA0000US. DO you own this device? Say something about using this device.